Part of what we love doing here at A Mothers Ramblings is making everyday fun. It might be that instead of doing the dishes we do water experiments (that sneakily get the dishes clean), or make a new game to play with each other such as a Marble Chance Game (even if I did have to wake up early to see it). But what we are also love to do is to spend time with each other outside of the house. Having outdoor adventures and often in some unlikely places. When Daddy and I got married we decided to do some of the things that we used to love doing, but had soon grown out of... like playing Marbles. It was great being able to share childhood games with each other and one of the great things about having children is that we can teach them all the games that we played as a child... like Marbles! The other morning Daddy had gotten up with Baby Boy and Top Ender (to give me a needed extra hour or two of sleep) and after they had played and then eaten breakfast and done the dishes it was still too early to wake me up. So Daddy looked around and decided to make use of the various craft items that live in the living room, waiting to be used. So what does a grown man of 30-something do when faced with various cardboard tubes, a shoe box and some sticky tape? He makes a Blue Peter inspired Marble Chance game of course! We received four free tickets to see the show. Baby Boy loves anything to do with planes trains and automobiles. just like his Daddy. We will quite often watch Thomas the Tank Engine on TV and own the classic series on DVD (sorry Daddy owns the classic series on DVD) and so when we saw that Thomas and his friends were coming to our local theatre and it was confirmed that we had tickets courtesy of the lovely Press and Communications team at Milton Keynes Theatre I am not sure who was more excited out of Daddy and Baby Boy. We made our way to the Theatre along with what seemed every other 2/3/4/5/6 year old in the local area and their parents and found several cast members walking around the seats talking in character to the children and their parents about Thomas and Sodor. Baby Boy didn't know where to look as he was so excited and when he heard Thomas making a "Peep Peep" from the stage he knew where to look and started to stare until cast members arrived on stage. The story is about Thomas accidentally making a mistake meaning that all the engines on Sodor need to pull together to fix the mistake and allow Thomas to prove that he really is a useful engine. There were only eight cast members, but with clever costume changes there appeared to be many more and although the show only lasted 90 minutes including the interval with the number of up beat songs (many of which I recognised from the TV Show) it managed to keep Baby Boy amused for most of the time. Top Ender enjoyed the show despite her alleged dislike of anything to do with Thomas and with Daddy, Baby Boy and me cheered, shouted, clapped and sang along. If the show is coming to a theatre near you grab tickets as soon as you can! 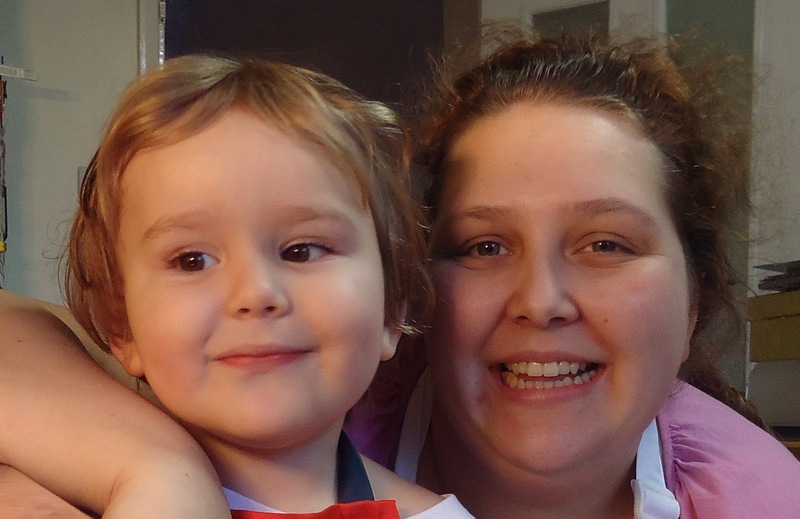 We love Leapfrog products in our house and have done since Top Ender was a few months old. If you look though Top Ender's and Baby Boy's most used Toys you will see that there are a lot of LeapFrog toys there! Now I am not turning this into an infomercial about LeapFrog, but it was just important that you knew that we really do love the brand and their toys. You see I was asked if I would like to be a judge for the LeapFrog Short Film Festival. I know how cool right?! The competition is open to children aged between four and nice years of age and is giving the children a chance to be director and make a short film based on a fun Family day out (now you know why I am involved right?!). The lucky finalists will be able to attend the LeapFrog's Short Film Festival Premiere on May 31st at the London Transport Museum in Covent Garden and will receive full celebrity treatment (including being photographed by Paparazzi on the Red carpet) and they will get to meet me! Top Ender and I love going to the library together, it's part of how we encouraged her to learn to read and to learn to love reading. We make it a Friday night excursion and Tops thinks that she is very grown as she is allowed to go in to the children's library all by herself, whilst I quickly peruse the adult section (the Children's librarian let me know it was okay to let Top Ender look on her own whilst I checked out the adult section) and choose a few books that I haven't read yet. When I got to the Children's section last week, I found Top Ender sitting on the children sized sofa's next to a small boy who looked to be about three. Top Ender was reading a book about diggers to this little boy who was sitting listening intently. I stood for a few moments just out of Top Ender's line of sight (the little boy had already spotted me) listening to her reading the out-loud. Baby Boy loves play-doh. I mean seriously loves the stuff, he would take the tubs to bed with him if it was allowed (it isn't and never will be!) and whilst I don't mind the stuff I don't think that it is an everyday play item. Mainly because it never seems to stay on the mat and somehow manages to find it's way into my carpet, and then in the evening Daddy scrapes the dry play-doh off the carpet and sort of shakes his head at me. I don't think he believes that I don't encourage the children to put it on the carpet. At the weekend we went to a birthday party (You know I told you about it the other day when I said you could make your own wrapping paper) and the one game that both Baby Boy and Top Ender loved was pass the parcel. It turned out that Top Ender won and inside was a couple of mini tubs of play-doh and a mini Fun Factory Press which she passed to Baby Boy to have, knowing his love of squishy stuff. We managed to make it to Wednesday before Baby Boy remembered where I had put the play-doh when we got home and so it was agreed that he could play with it in the living room on a tray and mat. Baby Boy sat quite happily making an assortment of various foods, animals and shapes with me watching admiringly from a distance as I'm not allowed to play. Suddenly Baby Boy rushed over to me, tears in his eyes and looking worried. Sssh, I know this is supposed to be Wordless Wednesday, but if you want to make these cookies then follow the recipe from my New Years Day Cookies post and replace the chocolate with raisins! Don't forget to enter your link into the linky down the bottom and leave a comment! Saturday saw Baby Boy going to his first non family Birthday party. We had managed to find a gift that we thought was suitable and fun and took it home eager to wrap it up and take to the party being held a few hours later. I went upstairs to get the stash of wrapping paper that we have and for some unknown reason couldn't find it anywhere. I think I swore, but as I was alone upstairs there was just me to hear so it was okay! I decided that rather go out and buy a roll of wrapping paper (this was more than a two sheet of paper job) that we would wrap it with brown paper and then decorate it ourselves, to make our own. Top Ender and Baby Boy were most pleased with the suggestion and I made a quick drawing on the side as seen below! 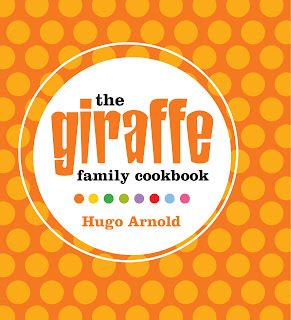 We were sent a copy of the Giraffe Family Cookbook to review. We decided we would go one day to find out, but we are ashamed to say that we still haven't been. Partly because the restaurant is always busy and partly because we don't want to know what a giraffe burger tastes like. My sister has been with her family numerous times, and loves the place. She is always telling me that I should go and try some of the food as the restaurant is great from the family and I keep finding excuses. 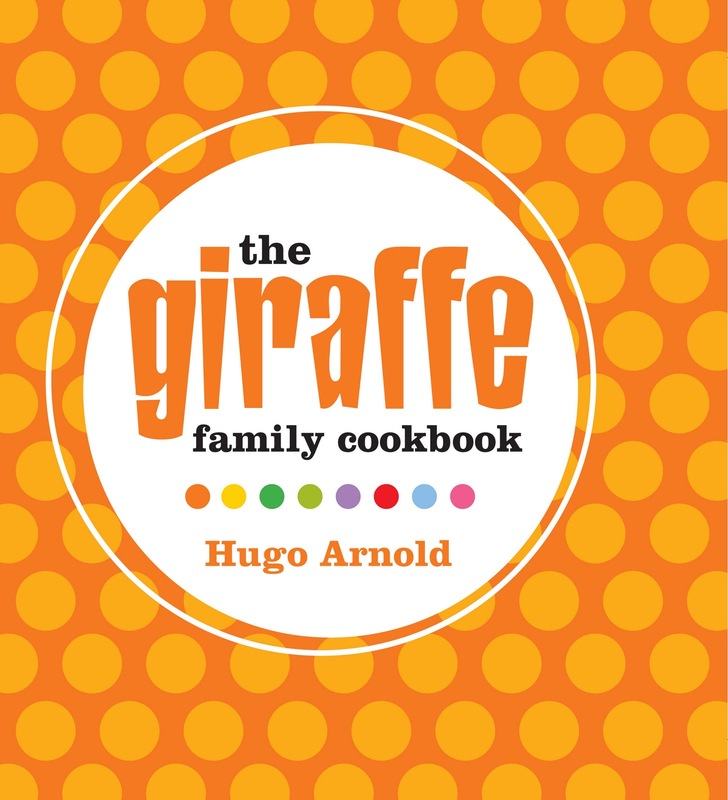 Then I was asked if I would like to try the giraffe family cookbook and I thought what a great way to introduce my family to the types of dishes that they can order at giraffe. Swings and Roundabouts... Well Actually Just Swings! Today we had a really relaxing day, together we just hung out, did things that we wanted to do, ate some fantastic food (yeah I know I cooked it, but it was a lush dinner) and made Top Ender and Baby Boy think we were the best parents in the world by actually building the swing set that they got from their Granny for Christmas! It sounds like we have been really bad seeing as it is March, but we just haven't had enough time on a warm enough and dry enough day at home to put it up and there was a good few inches of snow here at Christmas. Luckily we were forgiven as they got a chance to swing together. It got me to thinking about how different the childhoods that Top Ender and Baby Boy are living are different from the ones that Daddy and I led, (not worse not better just different) and I can't help but wonder how Top Ender and Baby Boy are going to turn out. I think that the early indications are that they are going to be pretty fab! Every Friday night when Top Ender comes home from school her routine includes taking her shoes to the Kitchen to be cleaned and polished. I actually really enjoy polishing her shoes, (just like I like cleaning the fridge!) but as I won't always be around I have been teaching Top Ender how to clean and polish her own shoes. Top Ender has taken it upon herself to start to play the Army game with polishing her shoes. I am sure you know all about the Army game for cleaning shoes... but just in case you don't here is how to play! First of all you need a pair of shoes or boots that need to be polished. In this case it is Top Ender's School Shoes... but it could be any pair of shoes that you love and want to give some attention too. One thing that our brilliant local recycling system doesn't recycle is jiffy bags. This can sometimes be annoying when I am a little over eager in opening the parcel and somehow rip the package, as then I can't give them away on Freecycle. So what to do with them? How about Jiffy Bag Hats? Think you'll agree Tops and BB model them well! 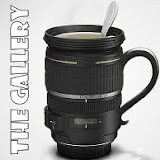 This week the gallery theme is on Trees. 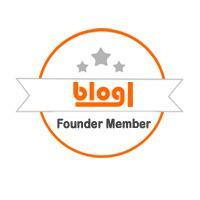 Those who have read Tara's blog before will know that she has a bit of a thing about them. Now don't get me wrong, I like Trees just not to the extent that Tara likes trees. There are however three trees that mean a lot to me. I first talked about me three fruit trees last July. I was so pleased because my Pear tree was bearing fruit! The fruit that it was bearing tasted horrid, but it bore fruit! I was minding my own business and reading through the 30 or so blogs I try to read on a daily basis (on top of the posts I see mentioned on Twitter and if you think I should be reading you then let me know in the comments) when I got to Rosie Scribble. She had been passed a meme (created by Mummy From The Heart) which asks for the commenter's on the blog post to describe Rosie in one word. Baby Boy and I were playing chase in the living room, when I scooped him up to give him a cuddle. Looks like that kid doesn't trust me! She didn't understand why Daddy and I fell about laughing again. We were sent three packs of Billington's Sugar to review. We had been shopping and sticking to our budget meant that we didn't have enough money to buy the packet of doughnuts that Baby Boy and Top Ender had been eyeing up. As we like making our own home made versions of popular snacks, we knew that our pantry had all the ingredients needed to make some of our own sugar ring doughnuts. And with almost perfect timing Billington's had sent us a lot of different Sugar's to try out so we knew we could make something quite scrummy and could try out some different brand sugar at the same time. Billington's sugar is unrefined, which means that it has been made by pressing out, cleaning and crystallising the juice from the sugar cane. This makes the sugar a darker colour and it smells lovely! Top Ender, Baby Boy and I left Daddy to the making of the doughnuts as we had far more important things to be doing.. mainly playing, but it was important playing! Now this mix is fantastic for the Doughnut maker (it's The Simpsons one) we have, and it makes about 18 doughnuts in three batches. Daddy used Wheat free flour and baking powder, and I have made them using "normal" flour and they taste just the same! Pre-heat the doughnut maker. Mix the dry ingredients together, then create a well in the middle and add the wet. Mix well until the batter is smooth. Add a spoonful into each doughnut well and cook for about three minutes. and the result is two happy children with tasty doughnuts as a Saturday treat! The Billington's sugar was very crunchy on the doughnuts and the perfect sugar for having a "Don't lick your lips whilst eating a doughnut" competition! At the end of January I was surfing the internet, when I came across an article on Babble about home made Valentines Pop Tarts. I thought this was a genius of an idea and decided that I would have to make some at home for Top Ender, Baby Boy and I to share for breakfast. I completely forgot about them until I saw an update to the post about chocolate pop tarts and knew that I really needed to make them or I would be craving them for months on end. So early one Monday morning Baby Boy and I made some and had a lot of fun together making a surprise chocolatey pop tart breakfast for Top Ender when she woke up. We started by cutting the pastry in to six as it said on the Babble website, but we soon discovered that these were going to be far to big for little tummies and so cut them in half again. As I mentioned before, we get a lot of parcels in the post and so Baby Boy and I get creative with what to do with the packaging, such as jiffy bags or bubble wrap, so that we can have some extra fun before they get recycled or passed on to other people. The other day we received a HUGE jiffy bag from the postman and Baby Boy couldn't resist having a play with it. I thought that he looked a bit like a Jack in the Box so we Sang "Pop Goes the Weasel" and pretended to be Jack in the Boxes, both of us jumping up when we said "Pop!". Baby Boy then decided that the jiffy bag would make a great sack for a sack race and started jumping around the living room. It was great fun and some great aerobic exercise for me! Of course all good things must come to an end and so when Baby Boy jumped a little too high and ended up toppling over he decided that the jiffy bag would also make a good sleeping bag. It just looked a little uncomfortable to me though! 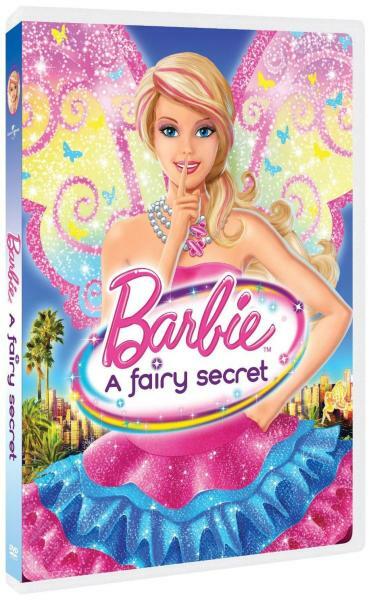 Top Ender knew the date that Mattel's Barbie A Fairy Secret was coming out as she had marked it on her calender and was saving her pocket money to buy it. Since having purchased the DVD, Top Ender has watched the film several times and even I have managed to watch it twice! 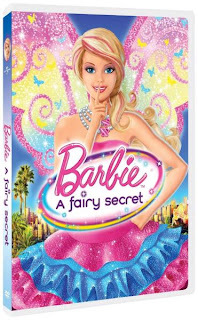 Barbie A Fairy secret is the sequel to Barbie A Fashion Fairytale, in which it was revealed to us that Barbie is a teen actress who stars in various films that Top Ender loves. I don't often take part in The Gallery over at Sticky Fingers. It's not that I don't want to, it's just that I don't always have an idea of something that I can take a photo of and talk about. As you might of seen when you read my blog posts, I do have pictures but they are normally to accompany my stories. This weeks theme of One Word though really caught my eye as I had the perfect word, the perfect idea for a photo and the words were already in my head waiting to be typed across the page. There are some chores which make everybody happy once they are done and Cleaning the Fridge is one of those chores for our household. I think having a nice clean organised fridge sets the tone for the kitchen and it also allows Baby Boy and I some time to talk about where our food comes from. That's right just like when he helps out doing the dishes, I find a way to make it a learning experience for him (or Top Ender if she is around!). I'm not talking about the weekly clean out of half eaten bowls of food, and the emptying of the mouthful of juice left in bottles but the proper remove everything from the fridge deep clean. This evening Daddy isn't at home, but at work. I don't mind as it really is once in a blue moon that he is there at the weekend and it has given Top Ender, Baby Boy and I some extra time together to play and create and generally have fun! Baby Boy fell asleep early and so Top Ender and I have been cuddled together on the sofa watching a film and reading to each other. Top Ender is in the bath at the moment and as soon as she is done we are going to read her bedtime story and then tuck her into bed. It's the best way to end the night. This was the only photo of Top Ender in bed I could find. It was taken The Night before Christmas, hence the bedding! What do you do when you have decided that you are making Pizza for tea, but then someone else decides that they want Fish Fingers? Of course the answer is simple you simply combine the two foods together to fuse together tastes that were destined to be with each other! Whenever we have Pizza as a family we make our own. This is partly due to Daddy not eating wheat and gluten, partly because we can never agree on what kind of pizza to get and partly because we don't want to take out an additional mortgage to pay for a meal each time we order a take away Pizza! Daddy was very good and decided that even though he wanted pizza and Top Ender and Baby Boy wanted Fish Fingers that combining the two would make a good dinner and so he made the pizza's, added some fish fingers (his are the pale ones on the green plate) to the top and threw them in the oven to bake. It was the end of the evening, we had all had a great time and were all trying to delay leaving to spend just a few more minutes together having fun. Auntie and I were talking about the cake and she mentioned that she would really love to push Baby Boy's head into the cake... so I did as any good mother would and gave her permission! Luckily Baby Boy loved it as much as I thought he would! They are very simple to make. All we did was paint 13 (how many stairs we have!) toilet roll inners red, and then use white electrical tape to wrap around the tubes in three bands to make the white rings. They look really sweet and every time we go up or down the stairs we have a giggle at all the hats on the stairs! Top Ender made dinner on Saturday all by herself, and it was lovely. 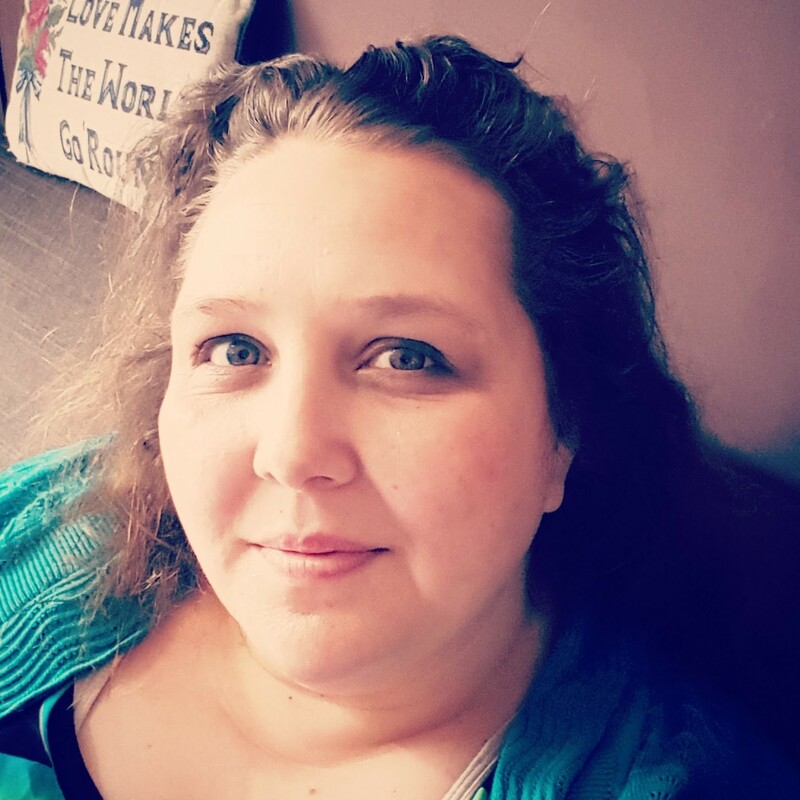 I received a press release about Spring Cleaning from Rentokil that reminded me of a Spring Cleaning Story that I hadn't shared here before, so I thought it would tell you my story and about the press release! Before I was really into my Flylady routines I liked to do big in depth cleans and declutters. These were mostly at Daddy's expense as he would lose out on sleep as I would make him get up early on the weekend to help me.